The way humans interact with and utilize the environment is constantly changing. While we need to make use of the environment to survive, we also have a responsibility to use natural resources responsibly. Students who major in Environmental Control Technology will learn how society and nature can exist harmoniously, as well as utilize technology and the environment to make our lives simpler. This program prepares students to apply basic engineering principles and technical skills in support of engineers in the process of controlling the way people make use of the environment. Students will learn the skills to design testing, inspection and maintenance procedures, installation and operation procedures, and prepare reports. There are many concentrations within this major; some include Environmental Engineering Technology, Energy Management and Systems Technology, Hazardous Materials Management and Waste Technology, and Solar Energy Technology. As an Environmental Control Technology major you will be taking class focusing on the fundamentals of engineering, as well as environmental science courses. This degree is offered as an Associate's and Bachelor's degree. Strong mathematical and scientific skills are required for this major. With emphasis on experimentation and lab work, one must be able to acquire data and analyze results. 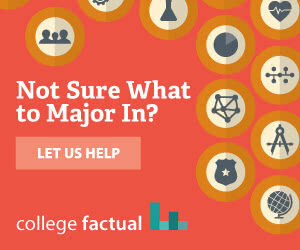 To prepare for this major, students are advised to take math and science courses before entering college. Analytical thinkers are highly suited for this major. Problem solving is a significant focus for this field; therefore individuals who think creatively are highly successful. Students who majored in Environmental Control Technologies commonly go on to be Environmental Engineering Technicians. Many people in this field spend their time in both a lab and on site. They work closely with Environmental Engineers and assist them in conducting experiments and recording data. Outside the lab, they help regulate pollution and other substances that could harm the environment. Students who studied fields such as Energy Management and Systems Technology and Solar Energy Technology have the opportunity to work toward energy solutions and innovations. This major offers a wide variety of career paths and is in demand because of the increasing concern of the environment and energy crisis. Here is a small sample of the careers that a degree in Environmental Control Technology might open up.